You can complete a Membership application form online by clicking HERE. Membership of the Association has grown steadily since its inception. It has members in almost every local authority in England, Scotland and Wales and has members from the Northern Ireland Electoral Office, the Channel Islands and the Isle of Man. There are also members who are permanently resident overseas. Most local authorities have multiple members. Full Members are from every level of local government from junior officers with very little electoral experience to senior managers with extensive experience. The total number of Members currently exceeds 1800. Full Membership is available to any person who is employed by a local authority in the United Kingdom or a Valuation Joint Board in Scotland, whose work involves the organisation for and/or conduct of elections and/or electoral registration or who is the Chief Electoral Officer for Northern Ireland and any person who is employed by, or acts for, the Chief Electoral Officer for Northern Ireland. This class of membership is also available to persons employed by the Association who have not been awarded honorary membership. Honorary Membership may be bestowed by the Association at an Annual General Meeting upon any person who is, or has been, involved in the work of the Association or has been involved in the organisation for and/or conduct of elections, electoral registration or related fields. Past Service Membership shall be available to any person who has retired from full or part time employment and has formerly been a full member of the Association. This class of membership shall not be available to any person who is employed in any manner other than by the Association to undertake work within the field of electoral administration. Affiliate Membership shall be available to any person interested in the organisation for and/or conduct of elections and/or electoral registration and related matters for whom no other class of membership is available and who has no connection to an organisation with a commercial interest in the field of electoral administration. Corporate Membership shall be available to any person who is employed by a commercial organisation that has a commercial interest in the field of electoral administration. Honorary members will retain their honorary status within this class. The Association is not able to accept membership applications from persons who are employed outside of the UK. All services provided to members are based on electoral practices and matters governed by UK law and therefore will offer limited or no value to persons employed outside of the UK. The current subscription is £57.00 (including £9.50 VAT) for Full, Corporate and Affiliate members. Persons applying to join will be granted membership up to 30th September in the (membership) year the application is made, on payment of the subscription. However, applicants during the months of August and September in any (membership) year will be granted membership until 30th September in the following year. There is no charge for Past Service Membership. E-mail has become the normal option for contacting Members, and you will receive various kinds of information about Association activities electronically. If you have any queries about membership, please contact the Membership Team at Sunderland (0191 561 1144 or e-mail aea@sunderland.gov.uk). If you change any of your details after joining, you should go into your personal profile on the website and make the necessary amendments. 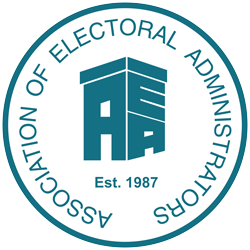 You will also receive a weekly email update from the Association’s Website Manager with a link to the weekly newsletter which gives details on current and upcoming AEA matters and activities, current electoral matters and job vacancies in the electoral field. Please note that the Membership year is the 1st October to the 30th September. Membership will lapse on the 30th September and will need to be renewed from the 1st October on payment of the fee current at that time. If a Member cancels their Membership at any time during the Membership year, no part of the fee paid is refundable. Should a person become a Member after 1st August in any year, their membership will not lapse until 30th September the following year.